New Delhi, Feb 13 (IANS) The Delhi government on Wednesday launched the Entrepreneurship Mindset Curriculum for students of class 9 to 12 with Deputy Chief Minister Manish Sisodia announcing a grant entrepreneurial seed money for students. The Delhi government will provide school children of 11th and 12th standards with entrepreneurial seed money of Rs 1,000, and Rs 5,000 to college students. "The cost of this scheme - approximately Rs 40 to Rs 50 crore - will be allocated by the Delhi government in the next financial year onwards," the government said in a statement. The curriculum was launched by Sisodia in the presence of Mahashay Dharampal Gulati, Founder of MDH Spices, Binny Bansal, co-founder of Flipkart, and Krishna Yadav, founder of Shri Krishna Pickles, who narrated their inspirational success stories at the Thyagaraj Sports Complex here. Developed by the State Council of Educational Research and Training (SCERT), the curriculum will be implemented in government schools of Delhi from classes 9 to 12 and will build awareness and knowledge of various aspects of entrepreneurship among the students. "This curriculum will inspire students through various entrepreneurial stories, case studies and many mindfulness activities and approaches. It focuses on imparting the personality and character traits of successful entrepreneurs other than the business aspects of entrepreneurship," the government said. Calling it a great step, Sisodia, who is also the Delhi Education Minister, said by launching the Entrepreneurship Mindset Curriculum Framework, the Delhi government has set an example for the entire world. 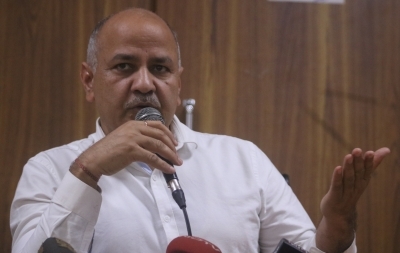 "This curriculum will solve the employment issues in the country, and enable the schools in Delhi to become the best among the world," Sisodia said. He added that the framework will bring about a "paradigm shift" in the education system. While acknowledging the limitations of the government in providing jobs for all, Sisodia said that "by promoting entrepreneurship a viable solution to the problem can be anticipated". The Curriculum will be launched in about 20 schools in April as a pilot project and the full-fledged launch will be done in all Delhi government schools in July. After the launch of the Happiness Curriculum in July 2018, the Entrepreneurship Mindset Curriculum is the second such innovative measure in curricular reforms taken by the Delhi government.